After the introduction to the value of time, we are to continue getting deeper in this important subject. We've established the premise that there is nothing more precious to a person than the time he/she has on disposal. In that light, it is logical that people would cherish and treasure their time but it is not always so. Why is that? 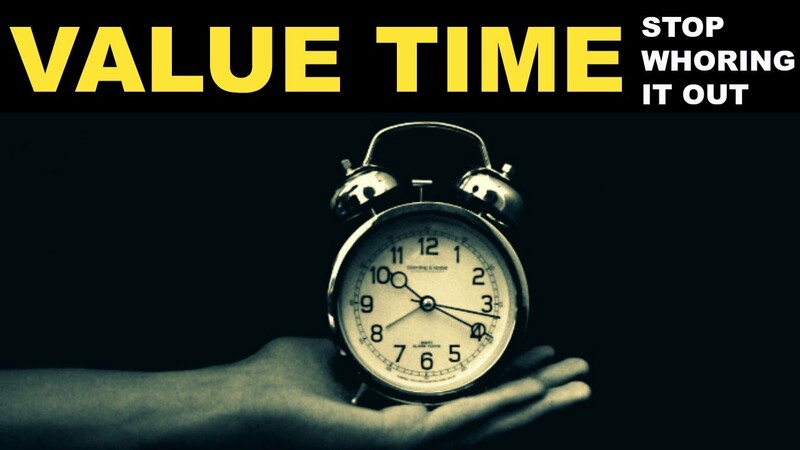 What value does your time have? It depends on your choices. The more you want, the larger your needs become, and less time you'll have. The less you need, the fewer material gains you need to fulfil and that will lead you to have more time which you can spend in pursuing whatever makes you happy and fulfilled. Logically we've established a new premise, however crazy it may sound - the richest man is the one who needs nothing, not the one who has it all. Let's get to the value-time equation. It is an exponential curve. The more money you make, the less time you have and it grows exponentially as you can see the image below. Meaning that there is a limit of money you can make in exchange for your time. At one point, you cannot make more money because there are not enough hours in a day. If your work makes you happy and it is an honest assessment, then I guess, you've solved the greatest riddle of all ages. People who spend time doing what they love and make enough material gains to be able to follow that walk of life, are the ones who have connected all ends and filled up all holes regarding the time-value equation. At those terms, work turns into pleasure., After all, we are in pursuit of this, that or some other kind of pleasure, whether we want to admit it or not. This doesn't mean that they've solved everything because there are other equations which apply to life. Family, hobbies, self-development, spirituality...etc. However, if one is happy and satisfied with one's work, it solves many things and opens many possibilities. Thank you for following "Value Of Time" series of articles. We hope you enjoyed them and learned a thing or two. If not, then we hope they at least remind you of something you already knew deep down and can use it as food for thought. Click HEREfor the Audio version of this article. Image Source for all images, unless stated otherwise, is Pixabay. ADSactly on ADSACTLY - Part # 49 ADSactly - What can ADSactly do for me? 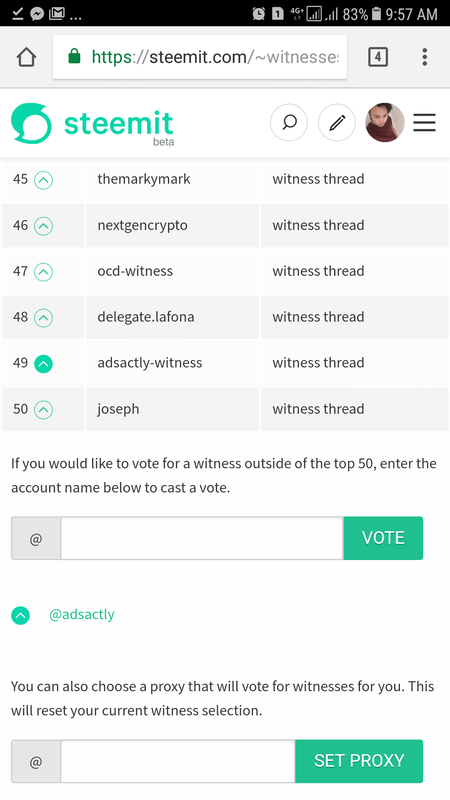 ADSactly on ADSACTLY - Part # 52 ADSactly - Can Blockchain Systems Provide Both Security and Privacy? Very good post @adsactly, your words are very useful for us all, and can be a very good motivation for all of us. Speaking of time, sometimes people do not realize how much time has been wasted in their lives. So their life never progresses and will not develop for the future. As the pepetah said "time is money". In essence, if we want to get a life full of happiness, and success with all our work, then do not ever waste your time on unimportant things, because the successful people always use their time to create something which is beneficial to the crowd, so their time will not be in vain. Excellent thoughts. 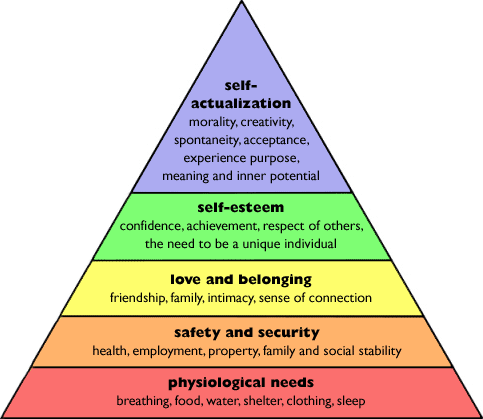 In fact, the richest and happiest person is someone who needs material goods least of all. Unfortunately, there are very few people. In reality, we live in a consumer society. Everywhere - on TV, on the Internet, on billboards, in ordinary conversations we are forced to consume. We are taught that consumption is cool and the more you consume the better you live. This happens "hidden". That is, we are not told this directly. We are shown the image of "successful" people who live very well. That is, they impose to us what we should strive for. Dear phone, expensive car, huge house, stylish things, prestigious work, many women (if you are a man) and so on. But the main thing is a lot of money. Now the famous saying "time is money" is at the same time. We spend the most significant resource - time and in exchange we get money. But in some cases you get little money and in some cases a lot. Someone exchanges their time cheap, but someone is expensive. It depends on the social situation and the efforts made, but in many cases, blaming such a phenomenon as "nepotism". Many people are unhappy with their work. They spend their time in exchange for money and do not get pleasure. But some people (they are few) do the work and get paid for it. The best job is a high-paying hobby. Such people can be called happy. In the end, what's the difference than what you do, the main thing is that you would be happy and get pleasure from it. Good communication! This is food for the mind! Thank you! Good afternoon again, my friend! first of all I want to tell you that you have touched on a very important subject, and indeed time does have value, but I'm going to focus on pulling that out from the perspective of work, I'm sorry if I go too far. Do we really like our work? Are we really happy with what we do? Is that really what we want to keep doing? Can you survive by doing what you like? Make money doing what you like and you won't call it work, but fun. But force yourself to work on something you don't like and call it torture. My question to that council was simple. Why, Dad? My father's answer was even simpler, if you do what you like you will never have to work, I explain son, whatever you want to be, be the best, so be the best cook, try to be the best at it. Well my friends, today already being a boy with 17 years (which by the way is my birthday today) those words have been engraved in me, and so it will be forever, is something that I want to transmit to my children. Without any further thanks @adsactly for assembling such good content, I tell everyone, life is one, you don't condemn yourself doing something you don't like, value your time and your life, always seek to reach higher, greetings from Veneuela are always followed and supported!! Hello, I like your post, particularly in my life everything would be perfect, I am a graphic designer and I love my work, I work for an advertising agency and recently I have been sharing my art through this wonderful medium of steemit, but in how much to the country All bad, I'm from Venezuela, and despite having the profession of my dreams and the work that fills me and I like it enormously, the monetary gains are not provided with the rest, making the day incomplete to get the appropriate monetary gains, which It leads me to the daily search of the livelihood, making contracts with several agencies and excessive work, which leads me to ask Is this because of the race itself or is it due to the economic instability that my country is experiencing? to even think about the possibility of migrating towards new horizons and that they bring me better benefits and where I can practice my profession freely, with the right time and that allows me to ita freely enjoy time for me and my family. Thanks for your post, it has made me think and reflect. This is really a post worth reading!! @adsactly you did justice to this topic, the value of time can never be over emphasis because time is the greatest asset you can ever have but sadly we spend most of our time trying to make money or chasing irrelevant needs and we end up with little or no time for ourselves. 24hrs a day is becoming too small,do what makes you happy!!! Kill two birds with one stone( do a job that makes you happy and earn a living out of it). You dont need the entire world to be happy,value your time and at the end you would be glad you did. This is very interesting discussion. As a man who always look at the value of time, who always makes time valuable, this article is one I am most intesrested about. Here's what I think about it @adsactly. While reading this one I was reminded of the movie "In Time". Does anyone watch that movie? In this movie, paints a really great picture about the value of time. They use TIME as a medium of currency. Whether they buy something, ride on a bus, their salary, and everything they do they use time. And the RICHEST Man in this movie is the ONE who has the LARGEST amount of time in his Bank. Which is really true in real life. What would TREASURES will value if the one who has it has no time to enjoy it. So, as the saying goes "Time is Gold" I bet true but is more valuable than Gold. I guess TIME is directly proportional to LIFE. A time well spent while they have life is what I called LIVING. Not just Living to make a Life and disregarding time it is SURVIVING. Time also is an expression of love and it is natural for a man to love whether it is a thing or a person or an animal, because where they spent their time is what they love the most. That's what I think about the value of time in the area of life. I will be looking forward at the Part3 of this one for I believe that this is the topic that one must read. The VALUE of TIME. Good work #adsactly love your every project..
hello.sir @adsactly... I like your post,Great work!! Time does not wait for anyone. Arabs say "time is a sword" just a little negligent then the sword will kill him ..
Hi, we have voted on your post because you have posted your article to either food, recipe, recipes, cooking or steemkitchen #tag. Steemkitchen is a brand new initiative where we want to build a community/guild focused purely on the foodie followers and lovers of the steem blockchain. Steemkitchen is in the conceptual phase and we would love to hear your thoughts and ideas. Working if done equally with pleasure or hobby will surely reach the peak faster than what we imagine. Time can give the price that can show something in life! Your post always got the most comment and upvote available. Great post on the time issue. Really time is essence and precious. A post worth pondering over @adsactly. I've recently thought about how I can make the most out of my time since I'm currently in a transition between moving on from a job that pays the bills to discovering a job that pays the bill AND fulfills my desires. So far, it has been a bit slow but the more I think about my how I want to really live my life, I know what I need to do to bring more joy into my every day life. awesome! i will waiting for your next post..time and tide waits for none.so we need to be fulfill our dream in this short time.. Thanks a lot for a great post. Well put. Your posts the truth that are very good, I think that Time is the most valuable thing that a person can spend. Your time is limited, so do not waste it living the life of another, ... Live your own life. Everything else is secondary, it is also the currency of your life. It is the only currency you have, and only you can determine how it will be spent. Be careful and do not let other people spend it for you. A man who allows himself to waste an hour of his time has not discovered the value of life. I agree very much with the sentiment, however, I would actually expand on your point, and suggest that it is experience, as well as that time, that is the true measure of our wealth. Sure, it's great if have all the time we want at our disposal, but if we are staring into the abyss with nothing to fill it with, it can be just as soul sapping as being stuck in a never ending cycle of routine in order to make ends meet. The way in which we make use of time in order to provide fulfilment is entirely dependent on our vision, motivation and worthiness around putting it action. We need the goals, the need drive, but most importantly, we need to feel that we are deserving the of the life that we envisage for ourselves. Good post, simple yet thought provoking. Not all employments of time are equivalent and this basic truth can have a major effect throughout everyday life. Individuals who invest their energy accomplishing more productive work profit. Individuals who invest their energy putting resources into others fabricate better connections. Individuals who invest their energy making an adaptable vocation appreciate more flexibility. Individuals who invest their energy chipping away at high-affect ventures contribute more to society. Regardless of whether you need more riches, more companionship, more opportunity, or more effect, everything boils down to how you spend your time.Not all employments of time are equivalent and this basic truth can have a major effect throughout everyday life. Individuals who invest their energy accomplishing more productive work profit. Individuals who invest their energy putting resources into others assemble better connections. Individuals who invest their energy making an adaptable profession appreciate more opportunity. Individuals who invest their energy dealing with high-affect ventures contribute more to society. Regardless of whether you need more riches, more kinship, more flexibility, or more effect, everything boils down to how you invest your energy. On the off chance that You Want To Know The Value Of One Year, Just Ask A Student Who Failed A Course. On the off chance that You Want To Know The Value Of One Month, Ask A Mother Who Gave Birth To A Premature Baby. On the off chance that You Want To Know The Value Of One Hour, Ask The Lovers Waiting To Meet. On the off chance that You Want To Know The Value Of One Minute, Ask The Person Who Just Missed The Bus. In the event that You Want To Know The Value Of One Second, Ask The Person Who Just Escaped Death In A Car Accident. Also, If You Want To Know The Value Of One-hundredth Of A Second, Ask The Athlete Who Won A Silver Medal In The Olympics." Fortune Every Moment That You Have! Also, Treasure It More Because You Shared It With Someone Special, Special Enough To Spend Your Time. If you are going to beg for follows and upvotes, at least have the courtesy to mention the article. I can't give you two flags for two violations. One will have to do. Ding Ding Ding Ding. You set off the scam alert! Flag for your efforts. I have a suggestion. In order to comment you must read the article and say something about it. Begging is spam. Flag grade spam. Thank you dear for your instruction. I will follow you every step.